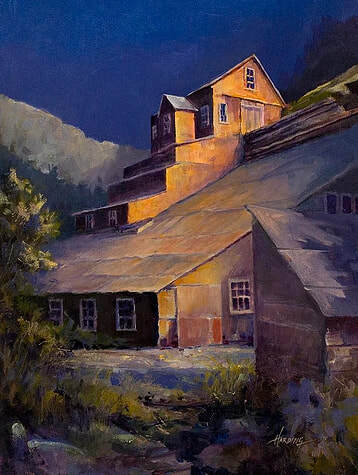 "First Light at Cardinal Mill"
Quite by accident, he discovered the beauty and color brilliance of painting with pure pigment . . . 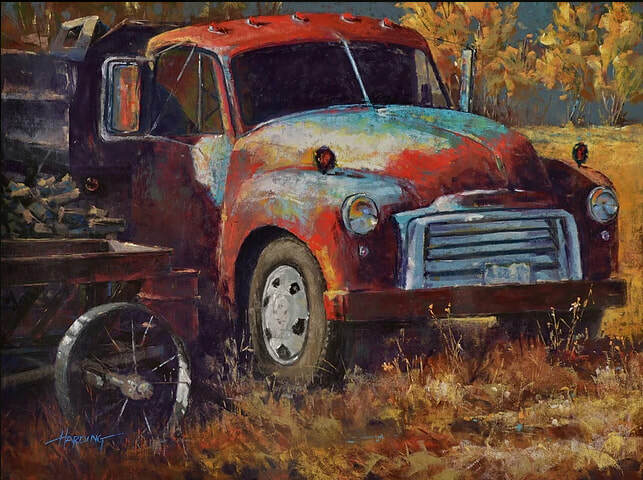 Although limited in creative time throughout his working career, Dale continued to create limited edition serigraphy as well as oil and water color paintings. 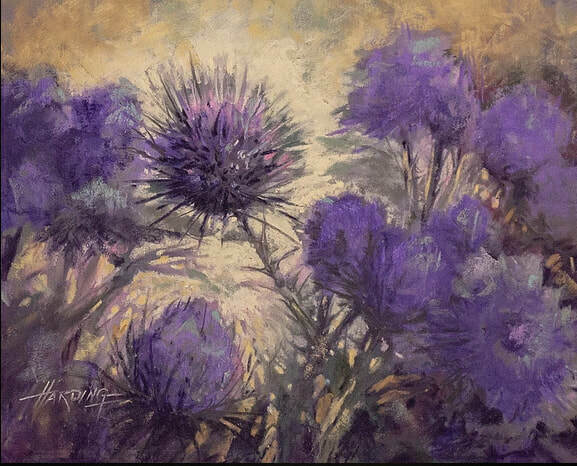 Quite by accident, he discovered the beauty and color brilliance of painting with pure pigment that can only be achieved with soft pastels and has since focused on pastels as his medium of choice. 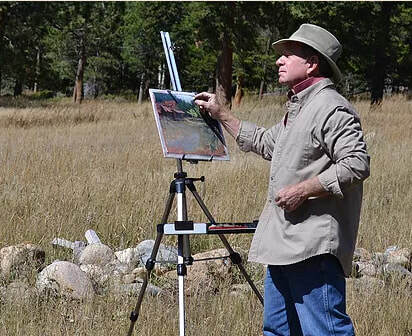 Interestingly, Dale uses his background of ink manufacturing to create many of his own pastel colors made from naturally occurring pigments he has found in the southwest and particularly Colorado.